Ten UC San Diego undergraduate students. Ten weeks. One floor-ready, interactive museum exhibit. If it sounds like a herculean task, that’s because it is: professional exhibit designers can take years to create a museum-ready exhibit. 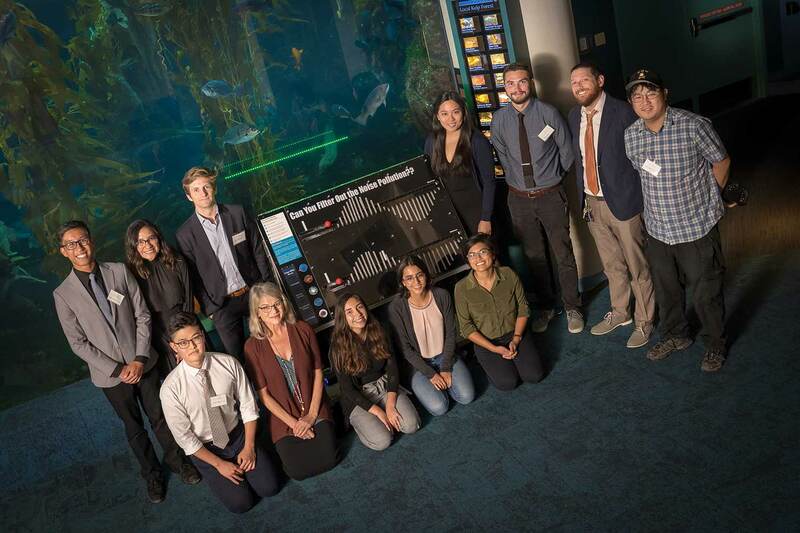 But leaning on their interdisciplinary skills, teamwork, and guidance from mentors, the 10 students built a sound-matching game in 10 weeks that translates complicated scientific research into an exhibit that will soon be on display at Birch Aquarium at Scripps. 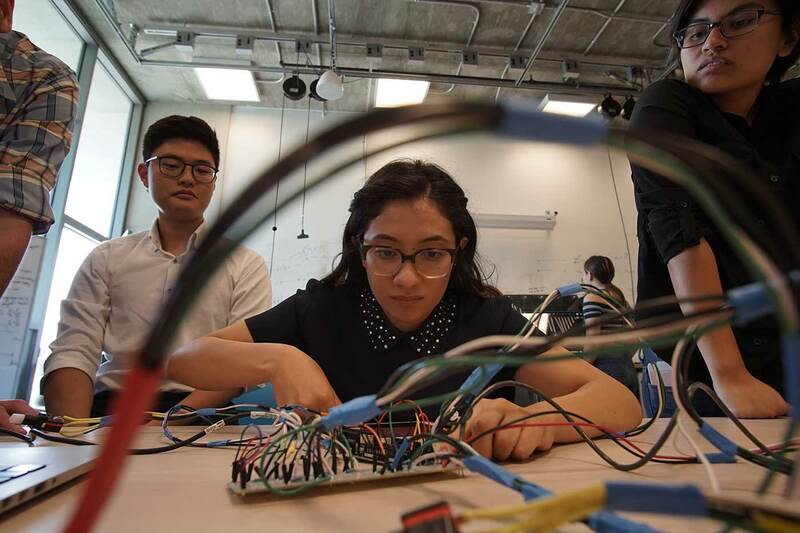 It’s part of the Summer EnVision Experience (SEE), which brings together UC San Diego undergraduate students from multidisciplinary backgrounds to collaborate on a hands-on, real-world project from start to finish. 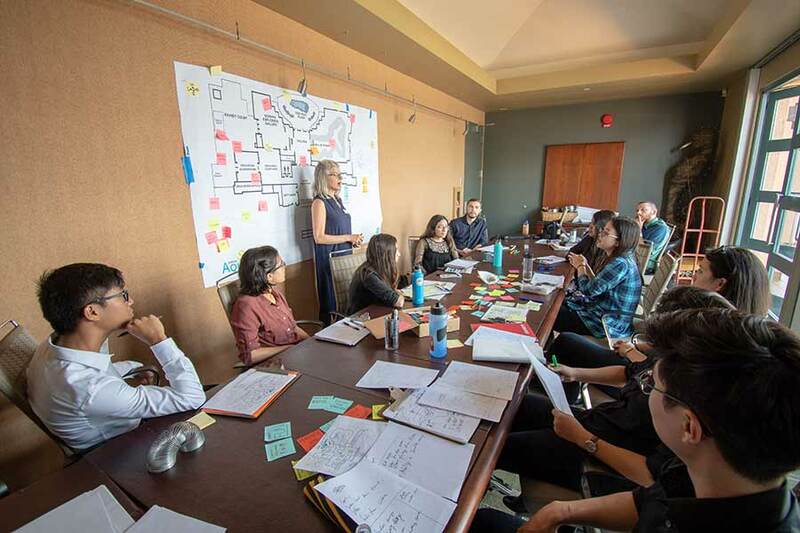 EnVision mentors guide the students through product development for a client: Specifically, the SEE team is tasked with translating research from Scripps Institution of Oceanography into an exhibit that is fun, informative, and functional. This year, the students focused on the concept of waves—sound waves, ocean waves, compression waves, any kind of physical waves. They started by making as many different wave-based low fidelity prototypes as they could using rapid design methods and hot glue, Styrofoam and balsa wood. Twelve of these prototypes were tested with Aquarium visitors for some early user feedback. With input from the Birch Aquarium’s Exhibits team, the students whittled those down to seven concepts, then to three, which they built as higher fidelity prototypes. A sound-matching game inspired by research from UC San Diego Professor John Hildebrand’s Whale Acoustic Lab. The multisensory exhibit lets the user hear sounds made by five different marine animals, and then physically manipulate the corresponding wave shape to focus on the narrow frequency band of one specific animal’s sounds. To get the job done, students had to tackle not only a tough engineering and user experience challenge, but navigate the added factors of time, budget, and teamwork. Students drew inspiration from design jams at Birch Aquarium, where they saw how visitors interacted with current exhibits and conducted early user testing, as well as a visit to the San Francisco Exploratorium, renowned for the hands-on nature of its exhibits. In addition to the collaboration between students from different academic disciplines, the SEE team got feedback and guidance from Birch Aquarium, Scripps Oceanography, the Rady School of Management, and the Gordon Engineering Leadership Center and Career Services. Jesse DeWald, director of the Summer EnVision Experience and its namesake EnVision Arts and Engineering Maker Studio, said the internship is designed to provide students with the kind of hands-on, practical experience that they’ll need after they graduate. The EnVision Arts and Engineering Maker Studio is a hybrid lab and classroom that provides undergraduate engineering and visual art students with a space where theoretical coursework and hands-on experience intersect. That’s no accident. 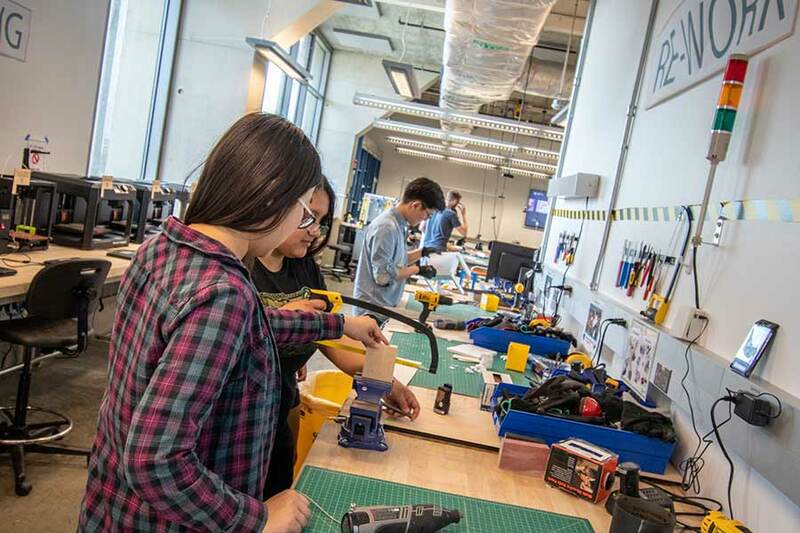 Hands-on learning to solve relevant skills is a key focus of Albert P. Pisano, dean of the Jacobs School of Engineering, and his Experience Engineering Initiative. This is the second year that the Summer EnVision Experience partnered with Birch Aquarium at Scripps. 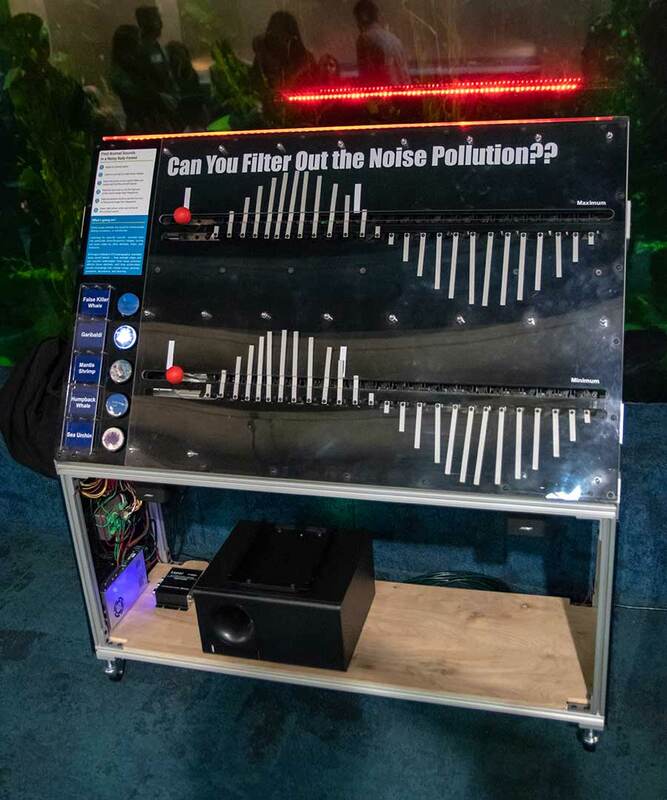 In 2017, students built a prototype exhibit styled after an air hockey table with light sensors to help visitors understand the albedo effect, as well as an interactive radio-frequency identification (RFID) system to create a more personalized experiences for aquarium visitors.